I have imported tens of thousands of roses to America over the last several years. This makes introducing this wine and roses idea into our Funky Micro business Idea Hall of Fame here. even more interesting. Roses I imported to the USA from Ecuador. Gary, We have founded the Rose Club of America. It works the same way as a Wine Club, and it is complementary. We offer roses on a regular basis to customers (once or twice a month) for a fixed price. 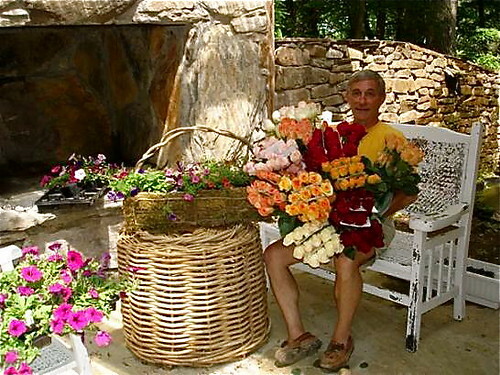 The provider is in charge of delivering the roses in his/her county, which means that once or twice a month he/she has to deliver the roses to the member. What is neat about this is that since we ship all the roses to one person the cost of shipping is cheaper than sending 50 roses, second; this person is in charge of delivering the roses which makes it easier for us to reach as many households as possible, third; they can do this over the weekend and in just 1 day, meaning that this becomes an extra income while they keep their regular jobs, fourth; once they grow doing this and can get other people involved, they get a per cent of sales of the people that are below them. So this is simple, not expensive, not much training, they get to know other people or deliver to people they already know, plus once the club grows members benefit from discounts and special offers that we are building with certain companies. Right now we are starting in Florida and Ohio, we partner with a Wine Club so: our Roses Club members get 10% discount on the Wine Store, and the Wine Club members get a 10% discount on roses orders. Plus we advertise the Wine Club with our members and they do the same. And we are also making a system in which you can subscribe and get the two products. This will grow with the Wine Franchise all over these states, and then with other companies that want to join us. The potential is unlimited and it opens the door to do other things like the Flower Parties, because once people get Roses on regular basis and the Club gets bigger, they will have more knowledge and support to deliver these flower parties. I really think that this is it. We finally got a way to get to thousands of people and have them receive our roses at a reasonable price, with great benefits and with the same freshness as always. Learn how to create income with a global business. Attend International Business Made EZ in 2011 FREE.